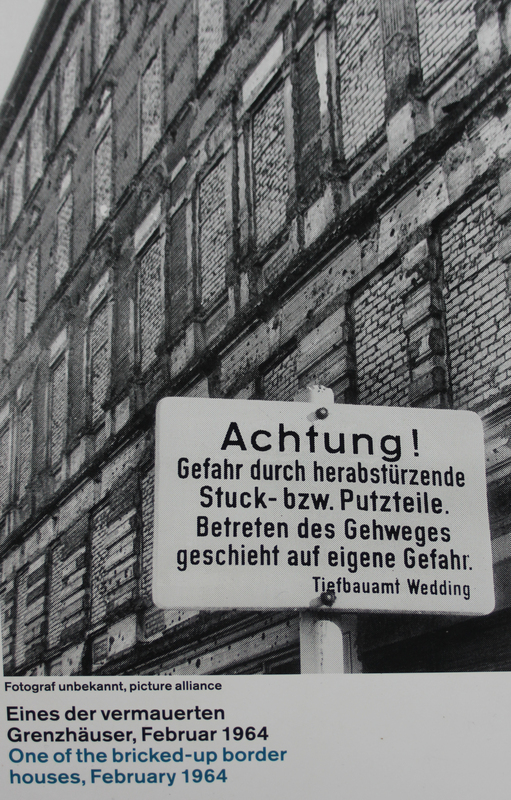 Having forcibly evicted over 2,000 residents of Bernauer Strasse, the East German authorities set about sealing shut this popular escape route. The front doors of the houses, which opened directly onto West Berlin, had already been nailed closed. The ground floor and basement windows had already been bricked up. On the basis that this simply prompted escapees to climb out of higher windows, the border guards set about bricking up those windows too. They did a pretty comprehensive job. In addition to bricking up the windows, the border guards strung up barbed wire along the rooftops, because people had been escaping by jumping off roofs as well as jumping out of windows. In 1963 the border guards tore down buildings to the rear of these apartments in order to create a strip of open land giving better lines of sight, all the better to prevent people from entering the apartments. This was not enough; in 1965-6 all of the border houses themselves were pulled down, leaving only the facades in place. The resulting strip of land widened lines of sight, and of course lines of fire. The border wall itself ran behind the facades. The facades themselves remained in place until 1980 when they were also torn down in order to make room for a more modern wall installation. 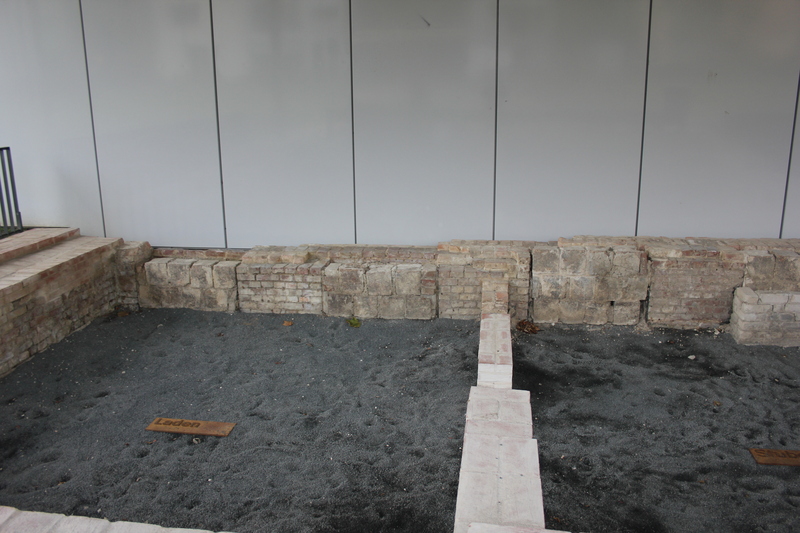 The remains of Bernauer Strasse 10 still exist today. The bases of the bricked-up lower windows can still be seen. With there being no escape route from the buildings themselves, East Berliners turned to alternative means of getting into West Berlin. 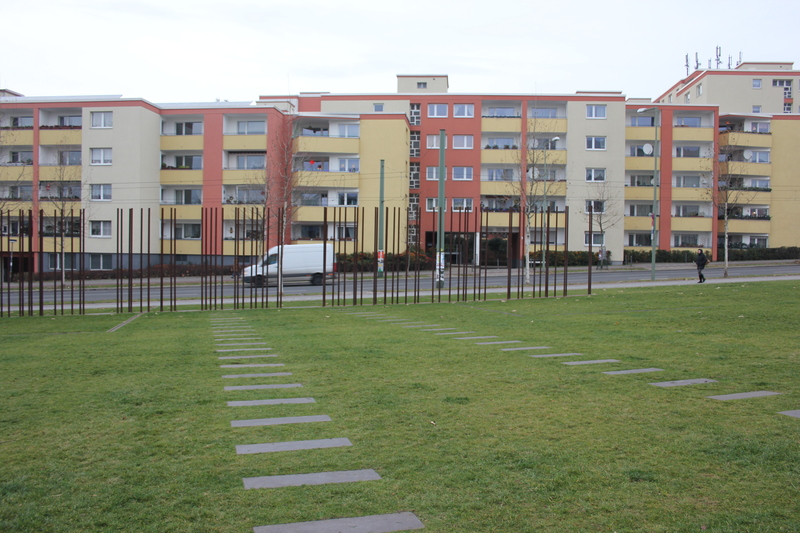 Bernauer Strasse was the site of a number of tunnels, and today the lines of these tunnels are marked out on the ground. This entry was posted in Germany and tagged Berlin, Berlin Wall, Berlin Wall Memorial, Bernauer Strasse, escape, travel. Bookmark the permalink. Thank you Ruth. I remember the wall coming down, but I was just out of school and was not aware of its history sufficiently well to realise the true magnitude of what was happening. The Berlin Wall Memorial is an absolutely fantastic place to visit – I would heartily recommend it if you are ever in Berlin.